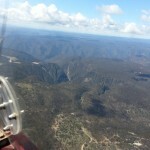 Today we had beautiful weather and I was able to fly a local cross-country. 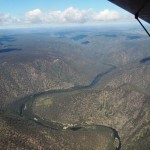 A local cross-country is a flight which is planned to visit specific objectives (or turning points), but without landing. 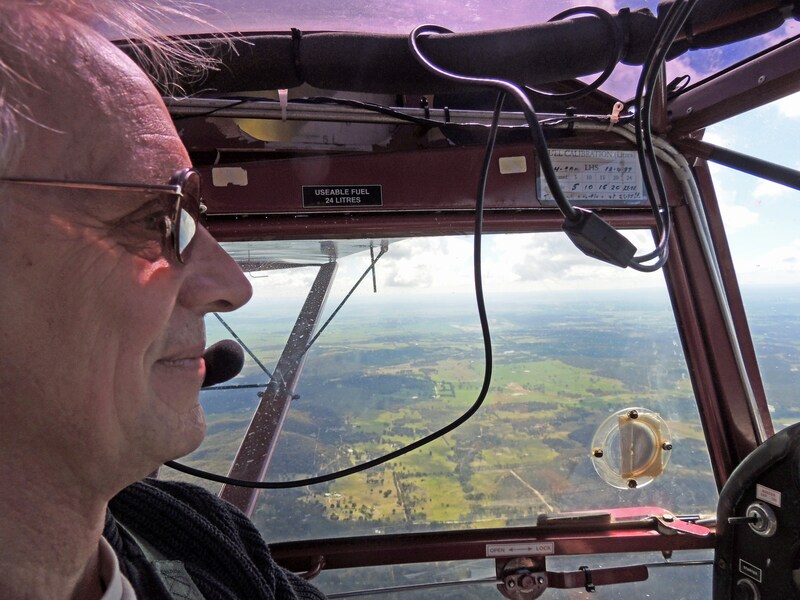 In essence this is a navigation practice, aiming to plan, fly to and find the required points, while keeping aware of one’s position at all times. On this flight I was fortunate enough to have Tracey fly with me. 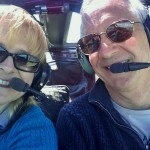 Tracey is a friend from work who simply loves to go flying, and perhaps one day will take it up herself. 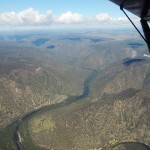 We flew east from Goulburn for about 15 minutes to Bungonia Gorge, to enjoy the magnificent views of the Shoalhaven River as it winds its way though the southern tablelands towards Nowra and the sea. 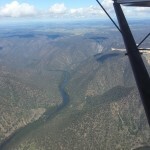 From Bungonia we flew down to the South West to the Lakes in the training area, where many of the steep turn pictures I have put on this site have been taken. 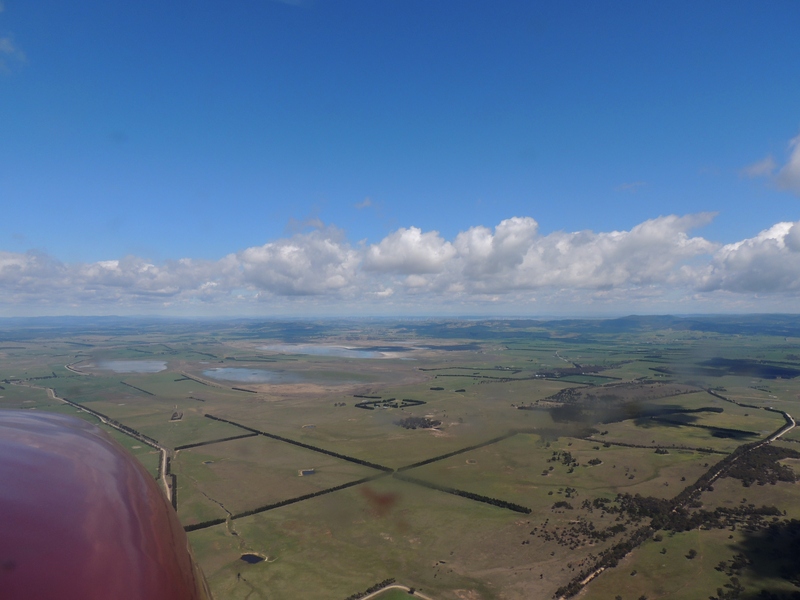 From the lakes it is a relatively simple flight back due North to Goulburn, but in fact we flew off slightly to the West to join the circuit from overhead the motor-racing circuit at Wakefield Park. 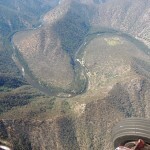 This makes for a much easier and safer re-join than the normal overhead procedure when parachuting is going on. Then into the circuit for a touch-and-go or roller landing, followed by one more circuit and the landing and return to the hangar. 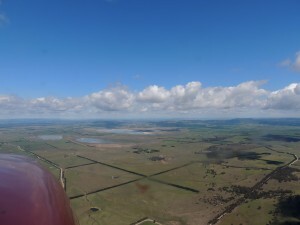 Two extremely gentle landings on runway 22, the long, hard runway at Goulburn, as opposed to the short and bumpy grass strip which is Runway 26/08. As usual for the gallery, click once to select a photo. Click again to enlarge, and return to the story using the back button.